Revolutionary gamification technique for auto sales professionals that has never been used before for sales teams. Shezartech today announced the official launch of the Farmathon app developed by them for the automobile giant Mahindra. Mumbai, Maharashtra – 6 February 2018 – Shezartech (http://www.shezartech.com/) confirmed the launch of the Mahindra Farmathon app that was developed at their technology hub in Mumbai, India. Shezartech's Munmun Mookherjee (President – Business solutions) stated that this app was specifically developed keeping in mind the need for educating Mahindra tractor and farm equipment sales personnel to enable them understand the fine nuances of mechanized farming processes and key role farm equipments played in the final crop output for the farmers. 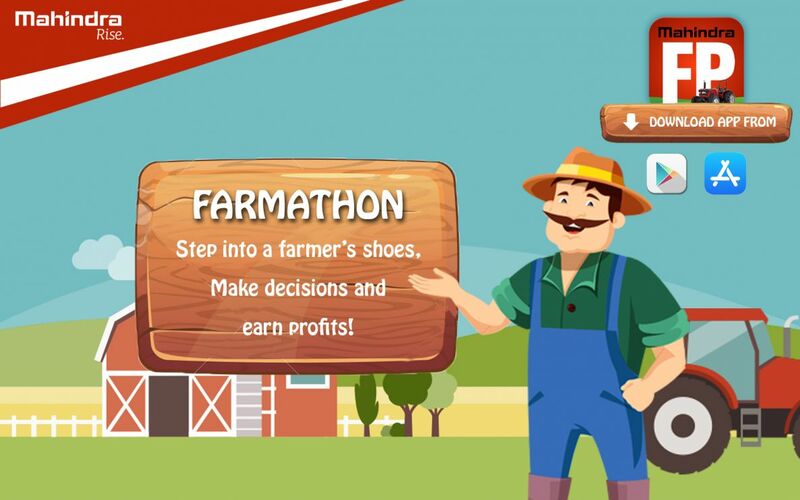 This app has been deployed to support sales training for sales officers of Mahindra automobile from the mechanized farming products division to effectively market their products using the unique learning gamification technology using the android mobile learning app. The team at Mahindra is upbeat about the launch said the technology and Business head Shoaib Sadiq at Mahindra. The app is available for download on the Google playstore (https://play.google.com/store/apps/details?id=com.mahindr...) for android and Itunes app store (https://itunes.apple.com/za/app/farmathon/id1314831252?mt=8) for apple devices. Mahindra is the largest Indian manufacturer in the auto sector headquartered in Mumbai, India. It is largest vehicle manufacturer in India by production and the biggest tractor and farm equipment manufacturer in the world. A new age technology Solutions Company, Shezartech focuses on developing Moodle based solutions along with specialized focus on mobile and web based Applications in the Learning Technology space with Learning analytics to add to their team strengths. Nucleus their Learning management system and Brainmint mobile learning application are 2 products built by Shezartech. Visit www.shezartech.com and www.Brainmint.io for more detailed information. Shezartech can be found on social media channels on facebook.com/Shezartech and twitter.com/Shezartech and Linkedin.